There is one thing that only TV cameras do best compared to any other news medium: to capture and broadcast world events and live breaking news to massive audience (Last year Super Bowl game attracted a record 114 million viewers). And brands know this very well…so no surprise that TV ad market is expected to benefit in 2016 from Super Bowl, the US presidential race and the Summer Olympic Games. 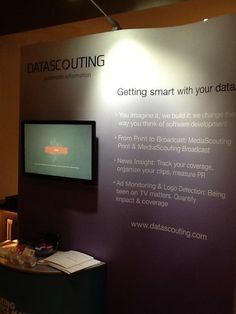 I agree with some strong arguments against TV being the best advertising medium – people are fast-forwarding through commercials, people are viewing television online, or people are giving more attention to the second screen than the TV – but the bottom line is that TV still remains the quickest and most effective way to reach the largest possible audience. So if the primary objective is to get your message out there and be heard by as many consumers as possible with just one spot, TV is still your best medium. Even in an increasingly digital media landscape, the traditional 30-second TV ad played during the Super Bowl can have a big impact for businesses who advertise during the big game. (See Super Bowl 50: The Numbers by Kantar Media). Ad prices for the big game have increased about 75% during the past decade. This year, companies are paying broadcaster CBS up to USD 5 million for 30 second’s worth of ad time (when a major campaign on YouTube can cost about USD 500.000 a day). But TV advertising is not just about sales; it is about making sure a brand sticks with a consumer for years. It automatically identifies advertisements or any repeated clip in live audio or video streams, guaranteeing success rates up to 99.9%. 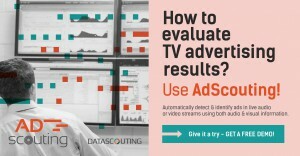 Based on proprietary technology, AdScouting can be integrated in any application via a RESTful API or SDK and can be used either as SaaS or as an on premise installation. It is ideal for advertisement monitoring, ad campaigns, audience measurement, and second screen applications. It alerts you of possible changes in the audio or the video of your advertisement. Interested in learning more? 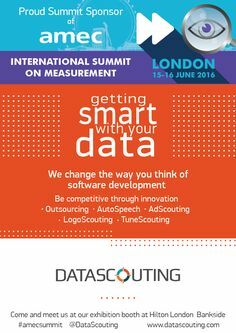 Get in touch with us (soka@datascouting.com) or ask for a free demo.